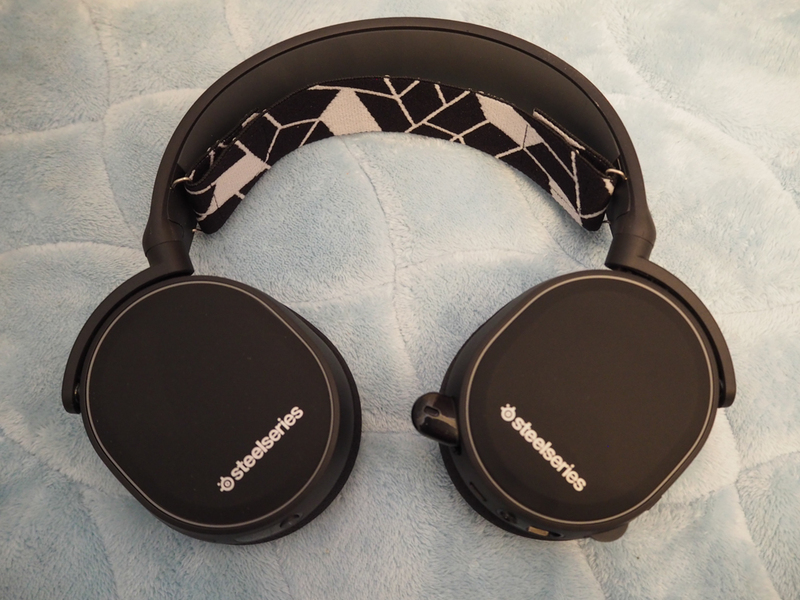 Back in June, I did a review for the Steelseries Arctis 7. At the time, this was the top of the line Arctis Series headset that featured lag-free wireless connections, DTS Headphone:X 7.1 Surround Sound, and worked on pretty much every console, PC, Mac, and mobile platform. This was however before the Nintendo Switch had come out and as we know, the Nintendo Switch does in-game chat a bit different from everyone else, requiring use of your mobile phone and a chat app. The Nintendo Switch needs a special kind of headset and Steelseries stepped up with the new Arctis 3 Bluetooth, featuring simultaneous wired and Bluetooth audio. That’s something no other gaming headset does currently. 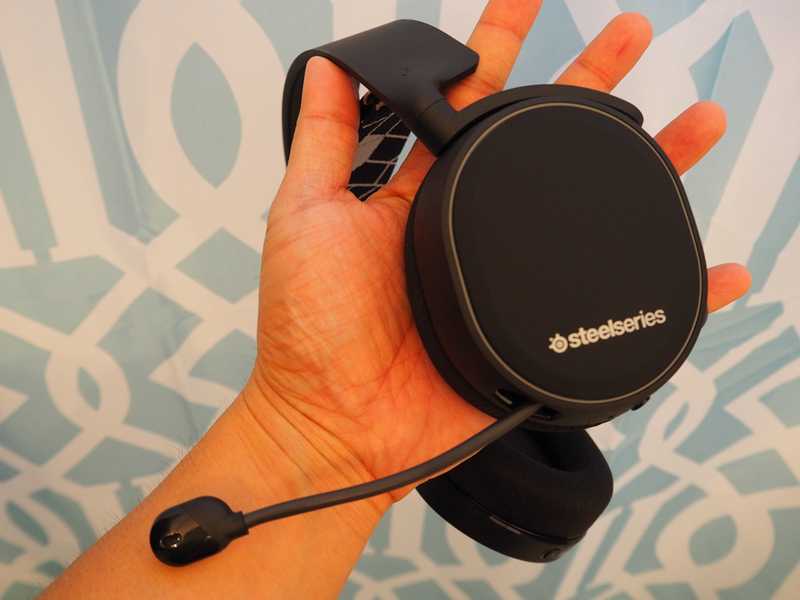 The Steelseries Arctis 3 Bluetooth looks exactly like the regular Arctis 3 and very similar to the other headsets in the Arctis line. The headset itself is made primarily of plastic, with a flexible plastic band and ear cups. The band is slightly padded, but that’s not what makes the Arctis 3 Bluetooth comfortable. It’s the exclusive ski goggle suspension headband that perfectly contours across your entire head, comfortably distributing the weight and eliminating pressure points. It really does work and because it’s adjustable, the Arctis 3 Bluetooth will fit any size head. Like the Arctis 7 I reviewed, the Arctis 3 Bluetooth also features athletics-inspired performance fabric AirWeave ear cushions to keep your ears cool and dry. These are also over the ear units so it keeps the pressure off your ears when you’re wearing them. This has the added benefit of blocking out a lot of the outside sounds as well which should keep you fully immersed in your gameplay. The mic for the headset can be conveniently retracted into the headset to give it a much sleeker look when not in use. Like the other headsets, the controls are neatly placed on the left ear cup for in-game volume as well as a mute button. The cable for wired connections can be removed if all you want to use the headset for is Bluetooth audio. Overall, the same great design as seen with the Arctis series headsets. I’m assuming the main question you want answered here is if the simultaneous audio actually works and the quick answer to that is, yes. Yes it does. I’ve tried this with some of my other headsets and none of them do this. To get simultaneous audio to work with the Arctis 3 Bluetooth, you’ll need to plug the one of the included cables into the headset and the other to your console or controller, depending on if it’s a PS4, Xbox One, or Nintendo Switch. You’ll be able to hear audio from your games now and control volume level with the controls on the headset. Next, you can then pair the Arctis 3 Bluetooth, via Bluetooth to your smartphone or tablet. With that completed, you’ll now also be able to hear audio from what ever you have running on your smartphone whether it be Nintendo Switch Online app, a phone call, any VOIP app, and even notifications. Volume levels for your smartphone will be controlled by your smartphone. This setup works surprisingly well and it means you won’t have to run two cables like you do with other made for Nintendo Switch headsets. You only need to run one and your smartphone can stay in your pocket or anywhere else out of the way. Since these use the same speaker drivers as the Arctis 7, they sound just as good as those do. You’ll get the complete range of sounds from clear highs and mids to low bass. You’ll hear realistic and detailed sound with very little distortion. Aside from the sound, the Arctis 3 Bluetooth is very comfortable to wear and I like the fact that they don’t need to really be sized. You put them on and they fit. Someone else puts them on, and they fit. There’s no real fussing with adjustments. 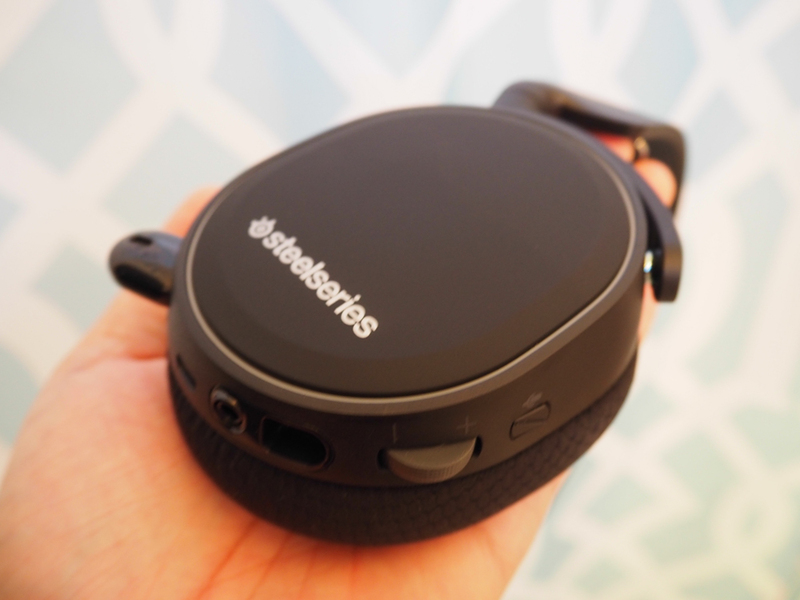 The Steelseries Arctis 3 Bluetooth doesn’t disappoint. I’ve never come across a headset that does simultaneous wired and Bluetooth audio before and I must say, it’s a really interesting feature to have. Most headsets only offer either one or the other and having both really offers opens up the possibilities of what you can do. While you don’t get a wireless connection to your console anymore like the Arctis 7 does, the wired connection isn’t a bad trade off if it allows you to also connect wirelessly to your mobile device. I know that when you wear gaming headsets, it’s to fully immerse yourself in that world, but at the same time, it’s also really nice to have that connection to the real world. Being able to use your smartphone simultaneously with your gaming console means you won’t have to miss another call again or another text message. You can still live in the fantasy gaming world while also living in the real world. You get that simultaneous connection. It’s an odd feeling but one that the Steelseries Arctis 3 Bluetooth does quite well.